When Prime Minister Abbott visits India in early September he should follow a simple rule: don’t talk about regional power politics, focus instead on India’s plans for economic development. A recent article  suggested that India and Australia might collaborate as middle powers (along with other interested states) to contain China. For a couple of reasons, that’s a bad idea. First, as ASPI’s Peter Jennings has pointed out , India walks alone in its foreign policy—it’s not ready to get entangled in anti-Chinese coalitions. The idea of a ‘tsunami coalition’ of the United States, Japan, India, and Australia has been around for a while. But the Indians have always backed away from entering a coalition that would serve the purpose of containing China. Second, the Chinese President, Xi Jinping, is visiting India later in September and India’s Prime Minister, Narendra Modi, is keen on getting Chinese assistance in kick-starting his ambitious development plan for India. Talk of anti-Chinese coalitions won’t go down well in either New Delhi or Beijing. But when the talk shifts to economic development, Abbott has a lot to offer India apart from uranium. While Modi has a majority in the union parliament, he doesn’t have control over a sufficient number of state governments to successfully implement his most ambitious economic plans. The Indian parliament, however, can easily move legislation on aviation, railways, defense, infrastructure, energy, insurance, banking, healthcare, education, and tourism. Modi has already increased the amount of foreign investment in defence, the railways, insurance, and aviation. More of the sectors listed above will be opened up to foreign investment and Australia is competitive in many of those areas. For instance, the Green Party Senator, Scott Ludlam, is spot on when he suggests that Australia should be entering India’s booming solar sector. India plans to produce over 40 gigawatts of renewable energy by 2022 and that means it’s a lucrative market for foreign investment. It’s also one in which the Modi government is likely to be very investment-friendly—for unless India’s chronic energy shortage is resolved, it can’t develop rapidly. The security sector is another area wide open for Australian participation. After the 2008 Mumbai attacks, much has been done to improve domestic security in India. Still, gaps remain. Major improvements could be made, for instance, in training the security sector in India and in improving response times, effective policing and counter-terrorism measures. Australia would make an excellent partner in that realm because it has a proven track record and is seen as an uncontroversial partner. Perhaps the biggest growth area in India–Australia bilateral economic relations could be in the education sector. Australia truly punches above its weight as an education power. With the Knight Review  having been accepted by the Australian government, it’s possible to envisage closer collaboration between Australian and Indian educational institutions as well as greater efforts to lure larger number of Indian students back to Australia’s shores. The number of Indian students studying in Australia peaked in 2009, but has fallen away dramatically  in recent years. Finally, Tony Abbott should encourage Indian firms—which find it difficult to invest and expand in India because of bureaucratic red tape and archaic labour laws—to seek greener pastures in Australia. In that context, the Abbott government’s removal of roadblocks to allow the Adani Group to invest $15.5 billion in the Carmichael Project in Queensland is a welcome move and a forerunner for future Indian investment. Amit Gupta is an associate professor in the Department of International Security in the USAF Air War College, Maxwell AFB, Alabama. The views in this article are his own and do not necessarily reflect those of the USAF or the Department of Defense. 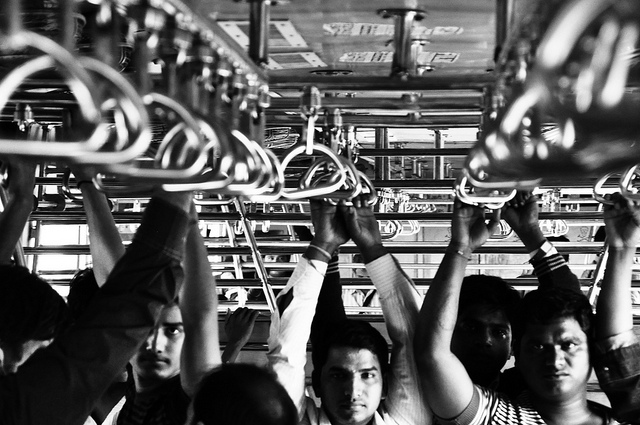 Image courtesy of Flickr user Prasad Kholkute .